So what technological marvels can we expect to see next year? 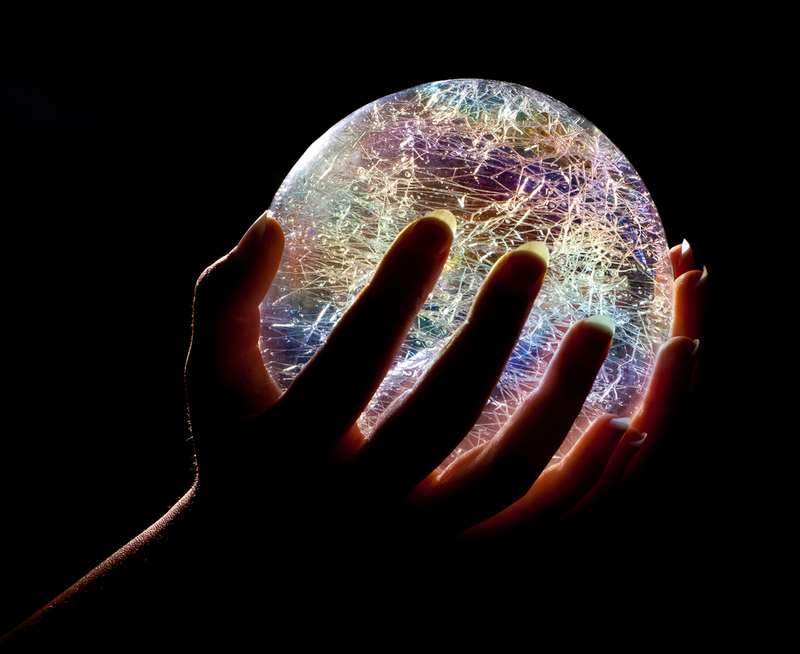 We spoke to Mark O’Neill, VP of innovation at Axway, about his predictions for 2015, which include Bring Your Own Internet of Things, B2B in the cloud, and connected vehicles. BYOD will evolve into BYOIoT in 2015, which means businesses will need to wake up to the potential risks that come with employees using wearable devices. At the onset of 2014, smartwatches were for early adopters, but when Apple joined the fray it accelerated the wearable tech revolution. The number and variety of wearable devices is set to explode in 2015, and enter the workplace. But the apps they are built on are only as strong as the ecosystem around them, the mobile apps, social media APIs and website interface to analyze the data, will need to evolve at the same rate as the devices themselves. There are a number of opportunities to be had: The rapid growth of devices and IoT business ideas will make more people sit up and take notice of related opportunities. Take aggregated fitness data, for example: fitness band users may have little control or awareness of how their data is stored, exchanged or sold on. It seems inevitable that insurance companies may be interested in aggregated data about exercise and fitness habits that they could be used in conjunction with personal data such as geography or age brackets. However, there are also risks: the more links in the chain, means the greater the security risk. With everything connected, one chink in the armor could lead to serious security implications. Businesses need to be mindful of what data external devices bring into the business and what they take away with it. Users must be more mindful about how wearables gather their data. Unfortunately, we will likely see some incidents before this is taken seriously. It may be that vendors need to take a leaf out of Google’s book and ultimately adhere to a 'right to be forgotten' approach, for data generated by IoT devices such as wearables. In the meantime, businesses need to look at whether they get employees to register their connected devices, and whether they roll out a policy or code of conduct, particularly when it comes to traceable devices. Data sharing is a vital cornerstone of every enterprise, but in 2014 we are still relying on technology that was developed in the 80s: Electronic Data Interchange (EDI). Although EDI has proven itself to be a reliable method of exchanging data over the past 30 years, we’re now diving head first into the cloud, and the technology securing these flows of data needs to keep up with the changing data landscape. Businesses now deal with multiple applications, standards and a host of business partners using a plethora of different devices to connect to the cloud. With Gartner predicting that in 2015 there will be more than 4.9 billion connected 'things,' B2B cloud technology will need to work much harder for businesses. It will need to take data exchanges beyond the simple computer-computer communication that EDI enables to a much wider cloud-based ecosystem. The B2B cloud technologies of 2015 will be able to support multiple standards and legacy systems, enabling companies to move beyond EDI and into the cloud. In doing so, organizations will be able to meet employee’ demand for constant access to data flows from multiple devices. 2015 will be a watershed year for the connected vehicle. Gartner has predicted that the number of devices interacting with the connected vehicle will jump from 189 million in 2014 to 372 million in 2015. Next year, there’s a very good chance that when you buy your new car, the dealer will ask you what mobile plan you want. Connected vehicles including company cars and commercial vehicles will deliver new capabilities and concepts in transportation logistics and fleet management. The haulage industry has already embraced tracking technologies, for example to monitor driver miles and hours at the wheel. Although technology will mature in 2015, data management, privacy and security will remain as drag factors. Data protection and privacy regulations remain incomplete, even in the EU. As connected vehicles will be communicating to various applications through APIs, the companies delivering those apps need to ensure that they are secure and are using the resulting data responsibly.